Munich, Marktschellenberg (June 15th, 2014 15h). Meanwhile, the injured man was brought into bivouac 4. Now stands before the vertical part of the rescue. International cave rescuers have the rescue in this difficult part well prepared. Overall cave rescuers are involved from four nations. The majority, about 200 from abroad. From Austria a total of 47 cave rescuers have been involved, currently 21 are in use. From Switzerland 19 cave rescuers are in use. The largest part is from Italy, they are involved with a total of 100 cave rescuers, there are currently about 30 in the cave in use. The Germans are mainly engaged in logistics and operations management. International cooperation is working well. 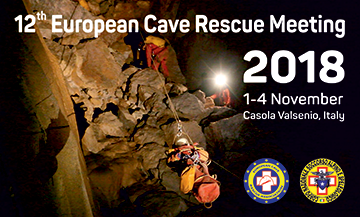 The accicdent shows once again how important is a European cave rescue cooperation as the ECRA.